Now that we are finished baking our cupcakes for Valentine's Day, it is time for a good friend and a glass of wine. 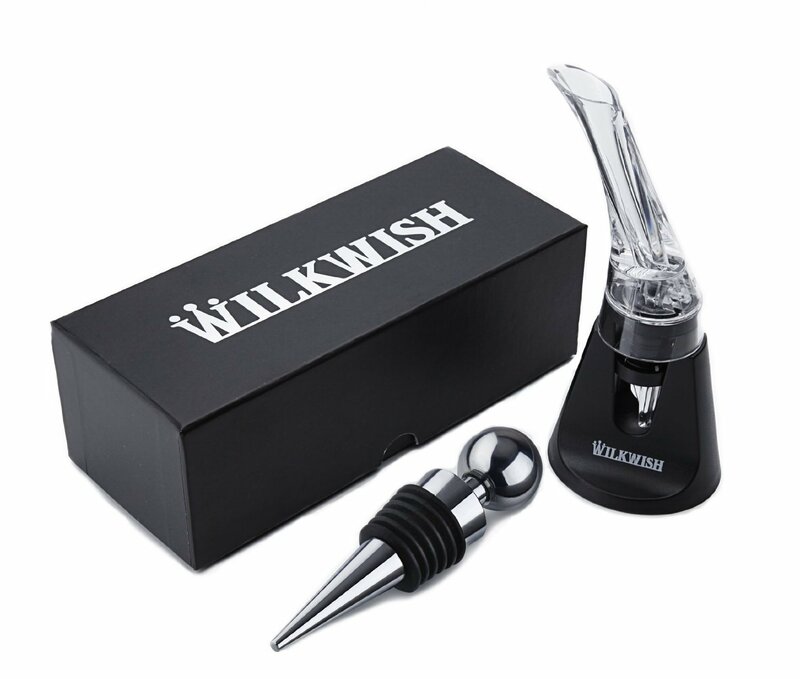 We are using this Wilkwish Essential Red Wine Aerator Decanter - Premium Quality Red Wine Aerating Decanter and Pourer today, and enjoying a nice glass of red wine together. 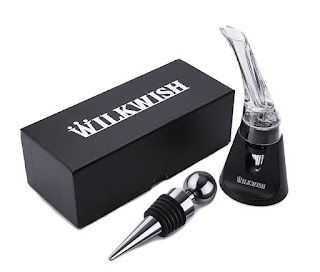 When serving larger quantities of wine, I often pour the bottle into a decanter, but when serving individual glasses for one or two of us, this aerating pourer works very well to aerate the wine, on glass at a time. This is a very attractive set and looks nice on my bar, as well as doing exactly what it needs to do. My wine was oxygenated well, and ready to drink right away and we were able to relax with a glass of wine without waiting. I am happy with this purchase and would recommend it to others as well.